Although McMaster was not on her original list of choices, we convinced her to go to the open house last fall and the campus and programs looked really good. She went ahead and applied as a secondary choice (or maybe even a third choice). But a few weeks back, after a visit to the natural history galleries at the ROM, she decided her future was in Environmental and Earth Sciences at McMaster. She even went as far as selecting all her courses for the first three years. So, it was a happy time when she got her acceptance email today! In fact, it was a very special acceptance. 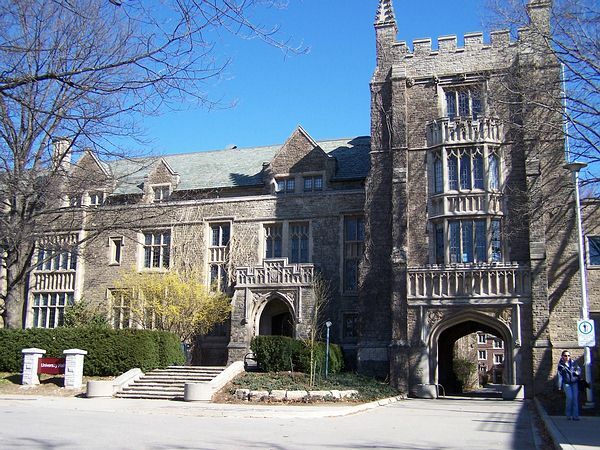 In their Guide for Parents under Basis And Timing Of Offers for January, it says "McMaster may make select offers of admission to highly qualified applicants..." After that, they make offers to top students in March. "Human life and society depend critically on environmental resources we all too often take for granted: air, water, soil, and the mineral and organic resources of the earth. With the recent attention given to global warming and climate change, there has been a dramatic increase in scientific research and employment opportunities in this area."